Another universally useful technique for developing childrens’ narrative writing is to ‘turn up the volume’. To make the most of this technique, you will want to source some highly detailed illustrations. 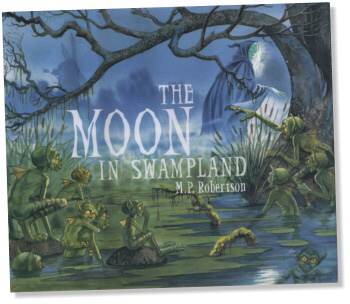 I, personally, love ‘The Moon in Swampland’ by M.P. Robertson. The book is the tale of what happens when the moon walks the Earth to save a young boy from the evil bogles, only to become trapped herself and the young boy must become her saviour. 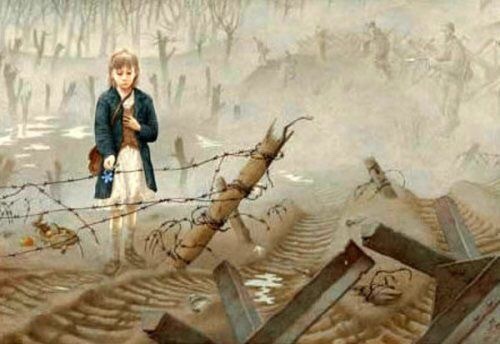 The images contained within the book are very atmospheric and evocative….in my experience, adults and children alike love spending time drinking in every littl detail; from the rain-soaked village streets to the menacing bogles lurking in the shadows. To use the ‘turn up volume’ technique, you simply need to display a single image as a stimulus. 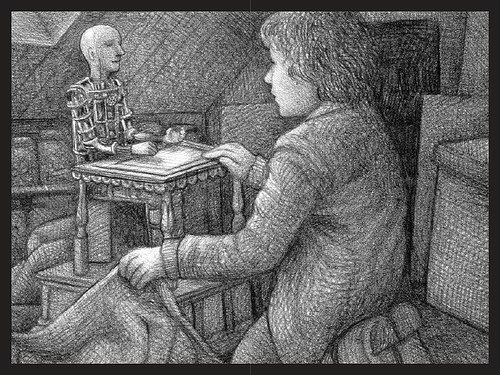 The children will then be challenged to write three short narrative extracts for the image, but each time they will be ‘turning up the volume’ of one specific descriptive device. For example, they might be asked to ‘turn up’ the audio associated with the image. Therefore, the children would be asked to describe what they can see in the image whilst ensuring that they include lots of descriptive details relating to the sounds they might hear. Subsequently, they can be asked to turn up the volume of the visual details in a new piece of narrative with the same image and finally, turn up the volume of the action for a third piece of narrative writing. Finally, the children can then work individually or in pairs to magpie the most powerful description from each of the three descriptions (audio, visual, action) in order to structure a fourth and final version, which should now contain a balance of audio, visual and action details. Try it with your favourite picture book, art work or movie freeze-frame and let me know how you get on!